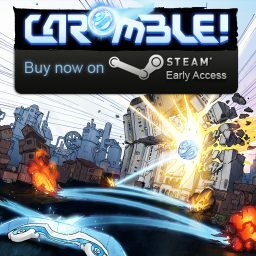 I want to write a bit about how I started with the art for the indie-game Caromble! I was invited to help out with this project, when it was already a bit on the way. The idea is really cool in my opinion – and already fun to see, even in the early still buggy versions. I was happy to join, and my first task was to come up with some style ideas for the art. I took some time and made the following sketches. One picture that came fist to mind: A more techy look, nice colors and effects. Maybe a spacey background. Then again – you know, what first comes to mind is often the boring thing that everyone comes up with. So time for the next one. This is a variation of more symbolic objects. 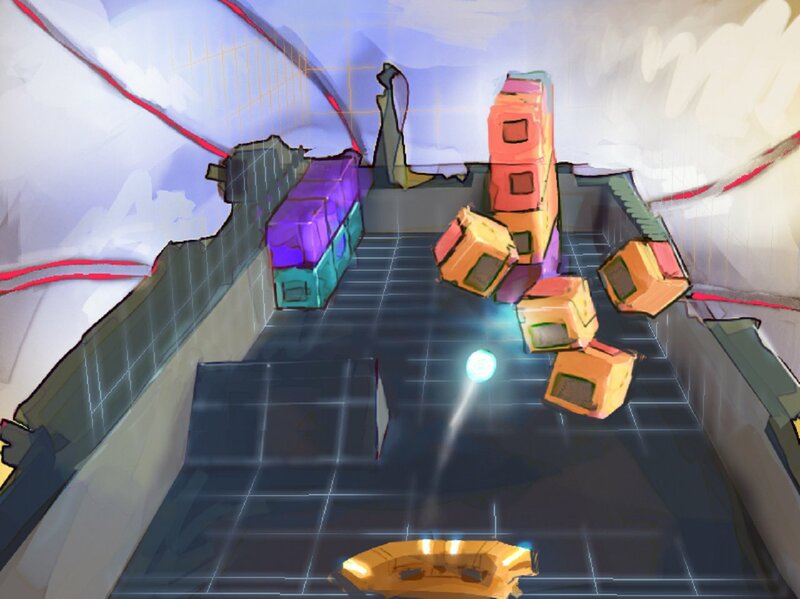 A pencilled cargo set – you could use all these boxes as stacks with the physics. Surely the TNT would be fun. 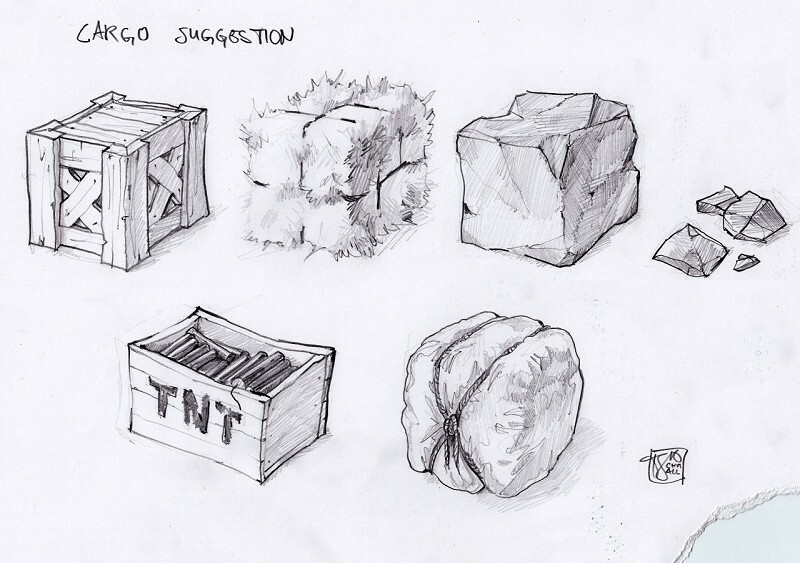 Concept of various destructible elements – specific to a cargo area. I liked the pencil style, so I made another one. This time the setting is a city. 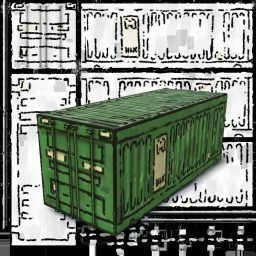 Instead of the TNT crate a nuclear plant could blow up. 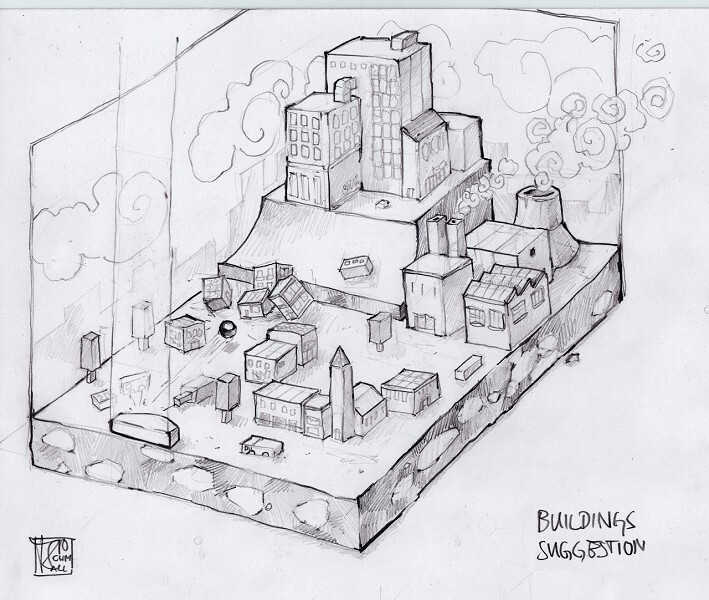 A first concept showing all kinds of elements you would see in a level. To offer one more very different option, I went for a sci-fi style. Different boxes with sleek futuristic designs. 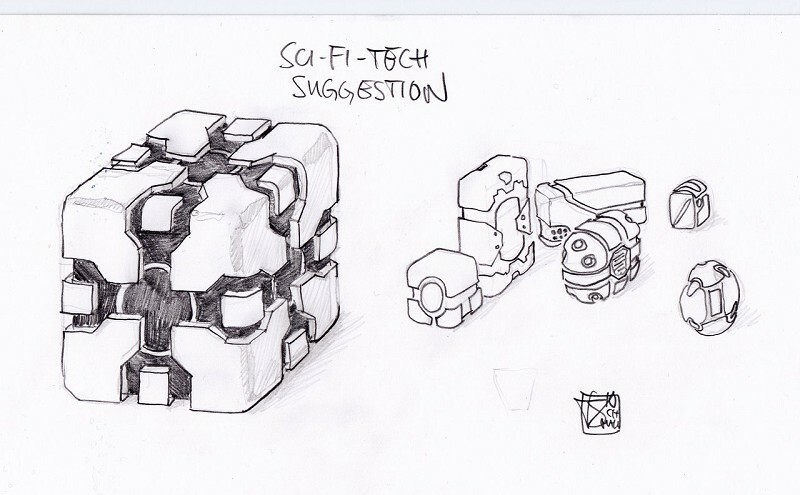 Concept of the core element: A block, in sci-fi style. We met up together and I presented the ideas. At the end we went with the city design. 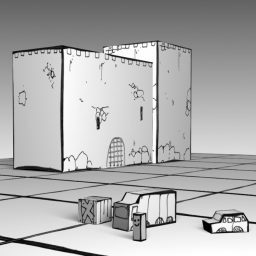 And at that point I also thought about actually using the graphite-pencil style for the actual game graphics. More about that later.